Randall Wayne Jewell, age 69, of Jasper, Georgia passed away Tuesday, March 19, 2019 at Northside Hospital Cherokee in Canton. He was born September 7, 1949 to Linnis Lyndell and Anna Erma Jewell in Dayton, Tennessee. Wayne proudly served his country in the United States Air Force. He was an active member of Jasper United Methodist Church, a member of Pickens Star Lodge #220, the American Legion Post 149, and was very active in the Tater Patch Players. 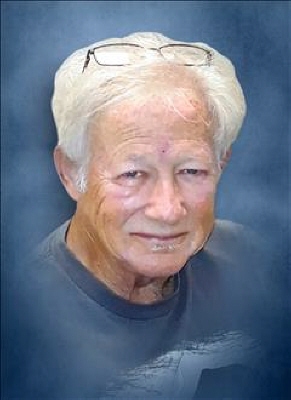 He is survived by his wife, Pat Jewell of Jasper; daughter, Karensa Goodman of Jasper; grandchildren, Riley Goodman and Chiara Simoneschi; brothers, Gary Jewell of Kingsville, Missouri, Kenneth Jewell of Grayson, Georgia; sister, Anna Susie Craig of Murfreesboro, Tennessee; and several nieces, nephews and other relatives. Services will be held 2:00 p.m., Saturday, March 23, 2019 in the Chapel of Roper Funeral Home. The family will be receiving friends at Roper Funeral Home, Saturday, March 23, 2019 from 12:00 p.m. until 2:00 p.m.
To send flowers or a remembrance gift to the family of Randall Wayne Jewell, please visit our Tribute Store. "Email Address" would like to share the life celebration of Randall Wayne Jewell. Click on the "link" to go to share a favorite memory or leave a condolence message for the family.